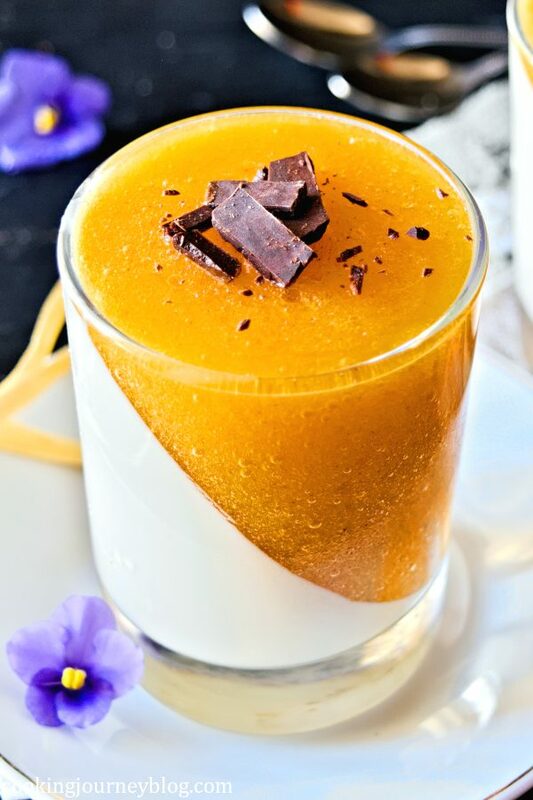 This persimmon panna cotta dessert is fun to make and will surprise your guests. 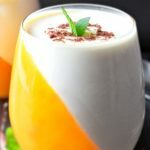 Persimmon panna cotta dessert with fruity orange color and a hint of rum – this combination of flavor will make your day! You definitely need to try this panna cotta recipe with persimmon! So easy and so interesting-looking, it will make your guests ask how you made it! This panna cotta is one of the best easy persimmon recipes to try. So I wanted to make something with persimmons that are in season October to February. And also my favorite color is orange! 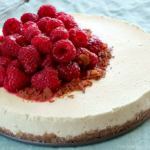 Panna cottas are easy desserts! They are made with heavy cream (or whipping cream) and fruits, that require no baking. Just let them set in the fridge and serve. Moreover this is a gluten free dessert that is also vegetarian, because to let it set I used agar agar instead of gelatin. If you are more familiar with gelatin and have no vegetarian guests, you can also use it instead. You will surprise your guests with this combination of flavor and fruity orange color! There are few types of persimmon available in the market, most popular are Fuyu, Hachiya and Sharon. Hachiya is the most astringent, with soft and orange flesh. Sharon is the most sweet and mild of all three. Fuyu persimmons are more widely accessible in the market than Sharon, it can be eaten firm and has less tannins, so less astringent – perfect for this dessert. However I wanted to pair creamy sweet panna cotta with a fruity, light astringent. There are persimmons that are overly astringent, but this one was sweeter to taste, so I decided to go with it. The added rum essence will wipe off the astringent, leaving pleasant aftertaste, and you will want to spoon some more! Tip. Use ripes persimmon, such as Fuyu. Taste your persimmon – if it has very astringent taste, leave it in warm water (about 104 F / 40 C) for a day or two. It will also help to ripen the fruit. By the way, this recipe doesn’t include any cooking of persimmon, so you will consume all the benefits of this fruit in a dessert! 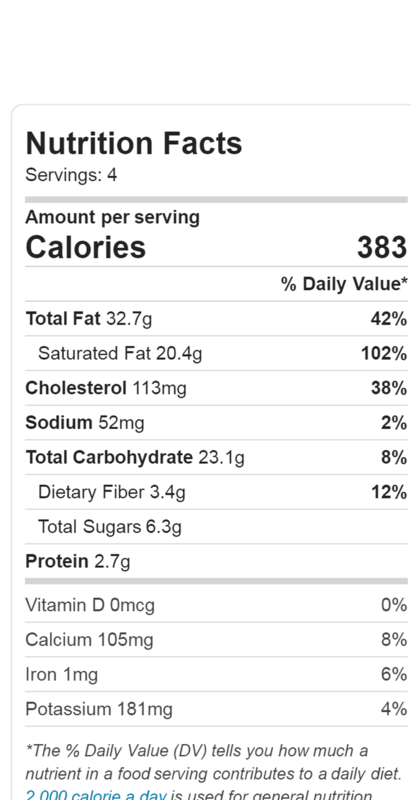 Easy dessert with health benefits? Why not! • Manganese (30 % of R.D.I. in one fruit), which plays important role in our bone health, metabolism and wound healing. • Persimmons have also smaller amount of vitamins E, K, B-group vitamins, Potassium and Copper. • Persimmons are rich in fiber (6 grams per fruit), which can prevent blood sugar spikes and positively impacts your digestion. As you can see in the recipe video, no fancy equipment required to make the shape of these panna cottas – I used a paper towel and re-used plastic box from my greens! Oh, I hate that we need to buy greens in plastic bags or boxes. But at least we can reuse plastic boxes like this. You can also use kitchen towel and a small bowl. Moreover, if you have muffin molds, you can fit your glasses in there under the angle. Don’t forget to put some paper in a hole, so it helps to hold the glasses. By the way, leave to cool the cream mixture, before filling the glasses. Otherwise, filling with hot mixture, the condensate will form around the glass. So set aside your cream mixture for 5 minutes. This can prevent panna cottas from sticking to the glass and it may slide a little, when you reverse it. 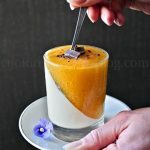 Persimmon panna cotta dessert in glass is fun to make! A hint of rum essence is optional, you can substitute it to quarter teaspoon vanilla extract. You can also use vanilla bean, when heating heavy cream. If you plan to store panna cottas more than 2 days in the fridge, better add a teaspoon of lemon juice to persimmon puree. Decorate desserts with chocolate strips, pomegranate seeds, micro mint leaves or dried fruit pieces! Crushed pecan garnish is also great. By the way, if you are out of time, you can just make white panna cotta in half of the glass and serve it with persimmon coulis. To make coulis, just don’t add agar agar to the mixture to persimmon puree! To make this panna cotta refined sugar free, add half of tablespoon maple syrup instead of confectioners sugar. You can also use granulated sugar, just make sure it dissolves in cream mixture. Great substitute is stevia sweetener (just a pinch, as it is way more sweeter than regular sugar. These are so easy to make and we are obsessed with serving desserts in a glass! This also makes less clean up. 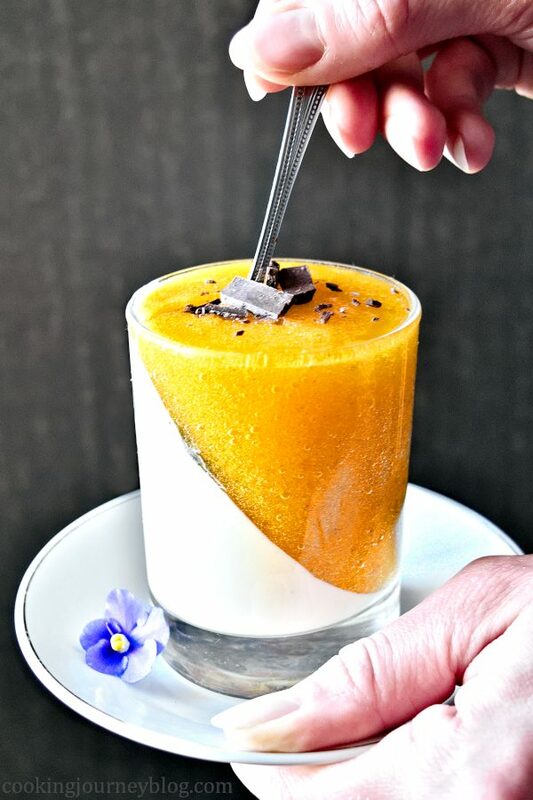 Check our other panna cotta recipes like Coffee panna cotta and Orange panna cotta. Try also making it with this Raspberry sauce. 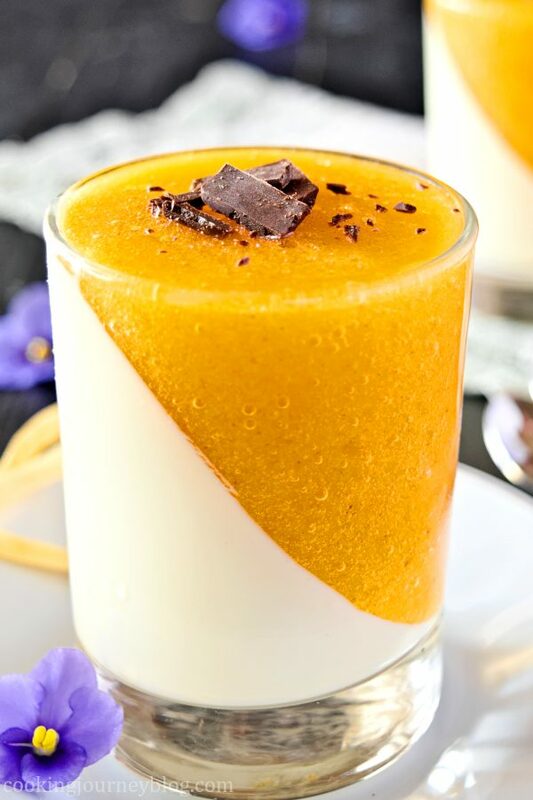 Do you like this persimmon panna cotta recipe? Will you make it? If you`ll make this recipe – share a picture with us on social media! In a small pan heat 350 ml/ 11.82 fl oz whipping cream. Sift in sugar, add rum essence and stir gently. In a separate bowl mix agar with 50 ml / 1.7 oz warm whipping cream. Add it to the pan and heat all the creamy mixture for 2 min, stirring. Leave to cool a little. Prepare 4 serving glasses (about 100 ml/3.4 fl oz each) – place them safely under the angle. Fill the glasses till the edge and leave the panna cotta to set in the fridge – about an hour. Cut 1 persimmon and peel off the skin. Blend it with a splash of water if needed until puree. Dissolve 1/3 of Agar powder in 25 ml/ 0.85 fl oz warm water, add it to persimmon puree. Stir well. 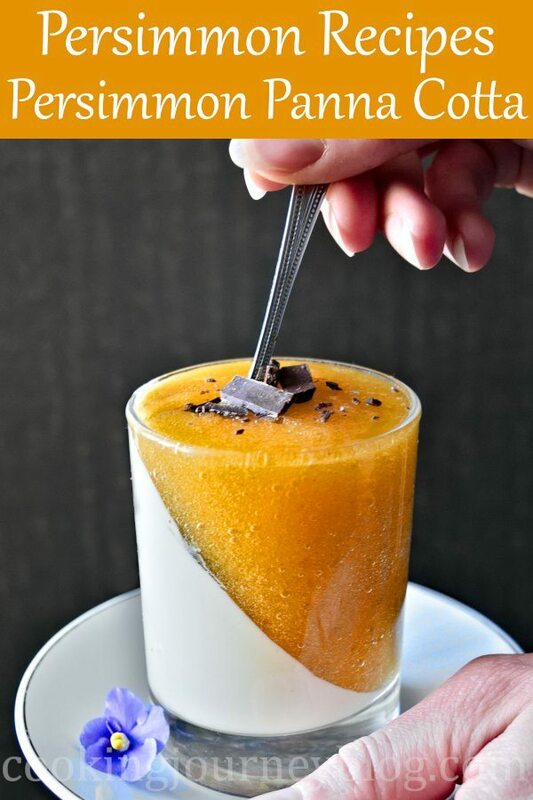 Fill the remaining space in the glasses with persimmon puree. Leave to set in the fridge for about 1,5 hours or until set completely. I have visited this site by accident but happy to be here. I love cooking a lot and it is my all time favorite one. I have visited your blog since few days ago but thought of commenting on the page today. Panna cotta is one of my all-time favorite desserts! This looks delicious and well, it has fruit, which means it can’t possibly be that bad for you 😉 Make your blog attractive with more recipe ideas. Try to post it everyday. I have bookmarked your site for future reference. Hi Stella! Thanks for commenting, we really appreciate it! We have more panna cottas on our site to try. Moreover, you can subscribe to receive our free dessert ebook, if you wish so 😉 We think desserts are not bad at all! We try to develop our dessert recipes with less sugar, adding more fruits to replace the sweetness naturally. Thanks for your advice, more recipes are coming and we try our best to write more interesting and delicious posts. This looks so tasty! I absolutely love persimmons, this is such a fun and beautiful way to use them! Thank you, Danielle! We adore these orange fruits. 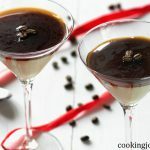 I love panna cotta for an easy and elegant dessert. And persimmon is a favorite as well. Looks so pretty made this way too! Thank you Caroline! We love panna cotta, as you mentioned – it is so easy to make and great to make topping with in-season fruits. 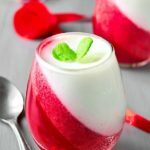 I’ve seen many Panna cotta recipes in my time but this has to be one of the most interesting and delicious ones out there!! Chris, thank you so much for such a lovely comment! You can also check our Christmas Orange panna cotta. That color is amazing! Such a delicious recipe. Thank you! Persimmons sometimes are more orange than oranges! I had no idea that orange persimmons had so many health benefits! I’ve used them before in floral arrangments but have yet to bake with them. Thanks for this awesome recipe! No baking needed for this easy recipe, give it a try. And I’ve never thought of including persimmons in floral arrangement!